Have fun with Canterbury! 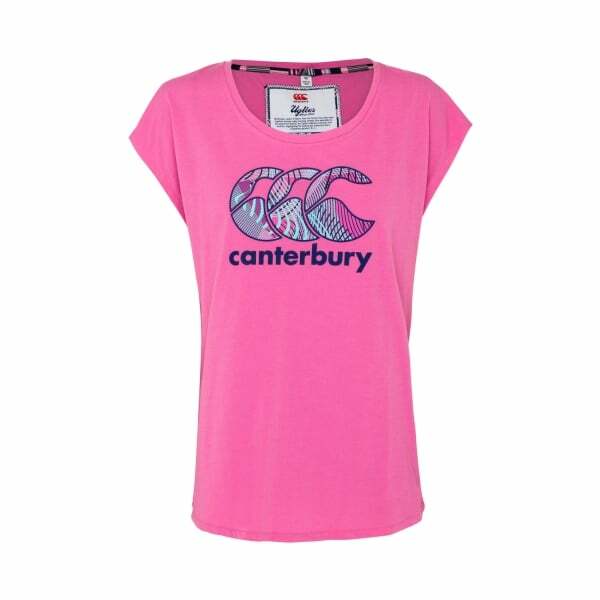 This highly functional and highly comfortable tee shirt also looks awesome, with a stylish pink tone and a highly stylised “uglies” Canterbury logo printed onto it. If you’re a fan of Canterbury sportswear, then you’re going to love this Uglies T-shirt. It’s got a huge, highly fashionable Canterbury logo on it, showing the world that you know good sportswear when you see it. Additionally, it’s a very comfortable shirt to wear. It’s made of a premium blend of 60% cotton and 40% polyester, so it’s both lightweight and soft on the skin, and has a simple, classic design, with its crew neck shape featuring a rib knit neck for additional comfort. This shirt works as well for workout sessions as it does as a casual shirt to wear out and about, and comes in sizes from 6-18.